Luxembourg, officially one of the most Roman Catholic countries in Europe, now has its own active Humanist association. 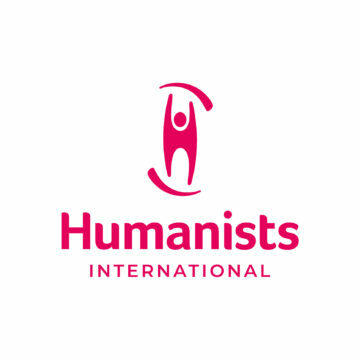 The Allianz vun Humanisten, Atheisten an Agnostiker Lëtzebuerg (AHA) (alliance of humanists, atheists and agnostics Luxembourg), officially presented itself to the press on October 27th. AHA was actually created in May 2010, but chose to work behind closed doors to build up a website and develop a flier with basic information about the main aims and principles of the organization, with the help of a start-up grant from the International Humanist and Ethical Union (IHEU). The main aims of AHA are to represent the interests of non-religious people in Luxembourg, and to promote a Humanist way of life without religion, based on naturalist and rational foundations. More specific objectives are to annihilate the influence of religious communities on science, to show that there is ethics without religious dogmas, to promote Humanist ceremonies as better alternatives to religious rituals, and to achieve the separation between the Luxembourg government and religious communities (in particular to stop the financing of churches by the state, and to remove religious courses from public schools). AHA has already generated plenty of attention from politicians in Luxembourg, with several of them openly supporting the new organization in the VIP section of their website, where one also finds statements by internationally known atheists Richard Dawkins and Ariane Sherine. The board currently reads as follows: president: Dr. Laurent Schley, vice-president: Ms. Taina Bofferding, general secretary: Manuel Huss, treasurer: Jean-Paul Risch, members-at-large: Dr. Fiona Lorenz, Patrick Brücher, Mateusz Buraczyk, Jerome Faber, Dr. Jean-Paul Lickes and Pol Wirtz. More information about AHA can be found on www.aha.lu Please note: the AHA website is currently nearly entirely in German, with some VIP statements being in French, English or Luxembourgish. A French translation of the website is planned in the medium term.